The snappy thing about my globe is that it can be removed from its base. So, Gadora painted the Northern Hemisphere, allowed it to dry, then painted the Southern. Gadora allowed about an hour of dry time between each coat. Painted the top half, then flipped over. Applied three coats in all. Had I not been so impatient, I would have lightly sanded between each coat. The faint mark of brush strokes is barely visible, but when I scribble with chalk, they don’t lay entirely smooth. 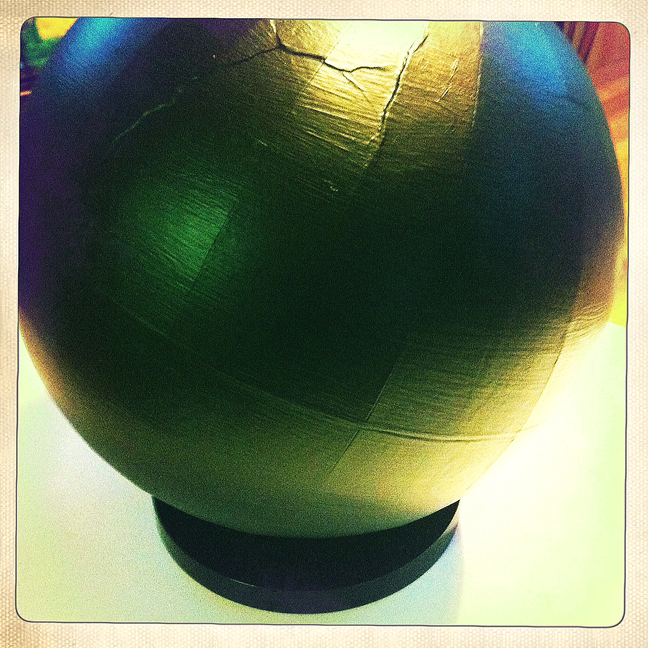 A slight crack in the globe is visible here, but after another coat was applied it all but disappeared. Voila! I let the whole thing dry overnight. And in the morning it was ready for chalk! I’ve doodled a couple of lines on it, and am contemplating painting an outline of our earth (the inspiration piece featured this). I kind of love it! An aside: the BFF just returned from Fredericksburg, TX where she ducked into my favorite shop RED in Fred. They had just sold a chalkboard globe, vintage too no doubt, for $180 smackers. Supplies? 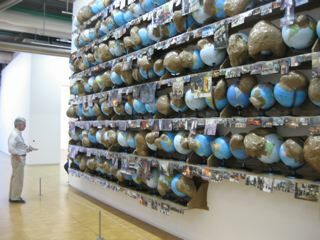 Globe. Chalkboard paint. 1″ brush. Drop cloth (or recycled newspaper). 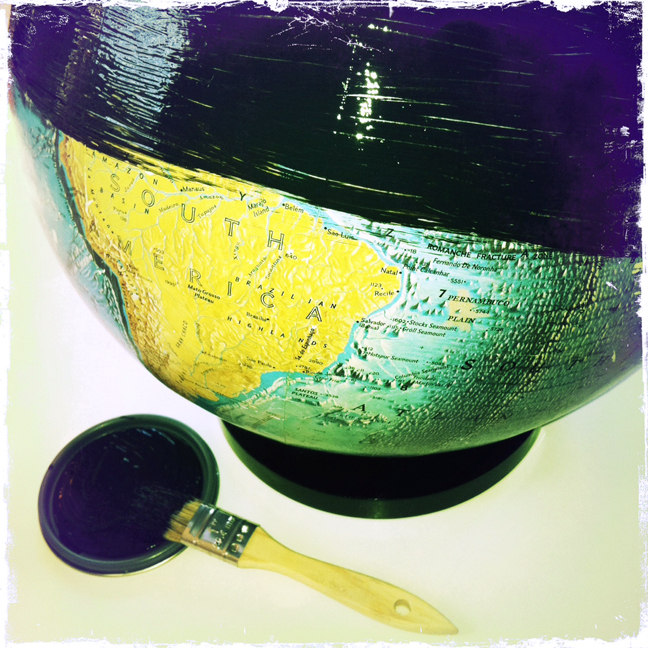 How-to: Gingerly wipe the surface of your globe. 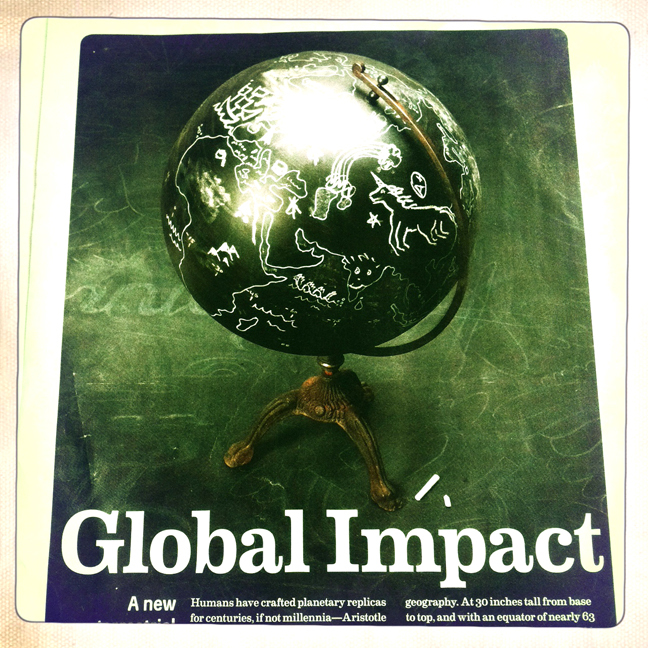 For this project, a globe without the raised relief surface (remember: this wants to be a chalk board!) is best. 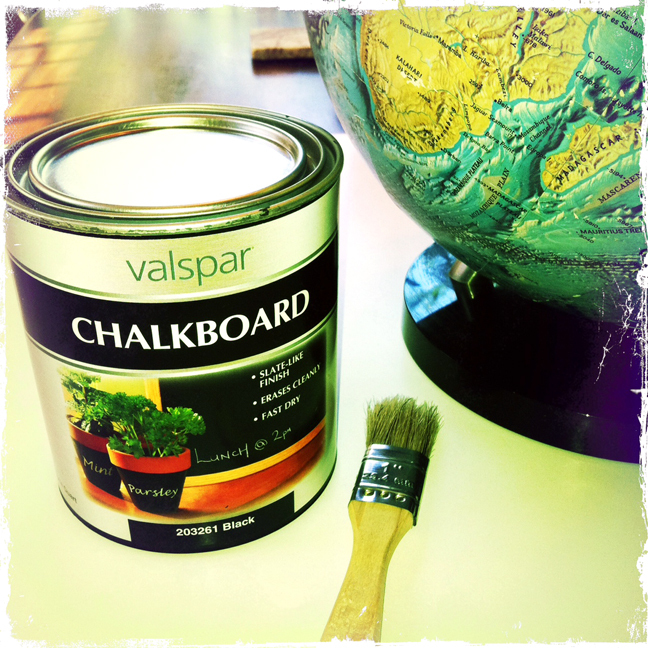 Stir and apply a light coat of chalkboard paint. Allow to dry. Rinse and repeat. If you’re lucky enough to have a globe that can be removed from its base, great. If not, you’ll have to get creative on how you’ll paint it. Allow to dry between each coat. You’ll know how many. My guess is 3. The cost: $? 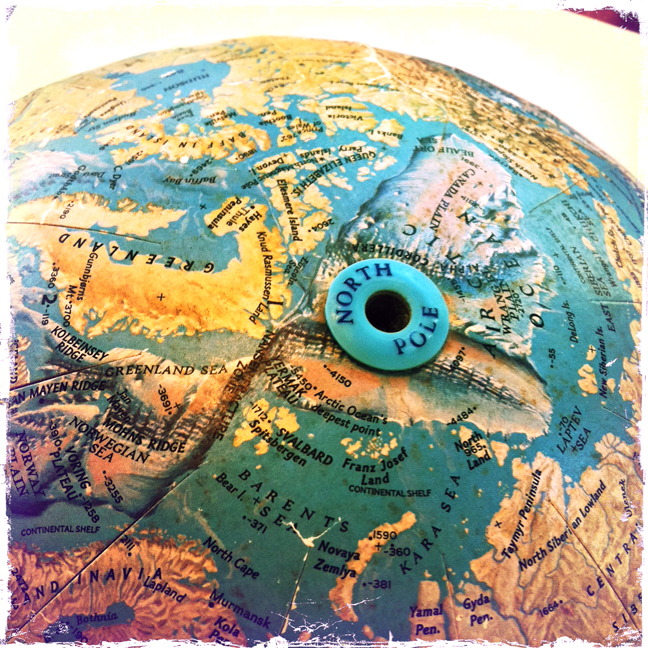 for a good globe. $1 for the paint brush. And $10 for the chalkboard paint. Discovery.com ~ I. Want. This. Etsy ~ more than 5,940 globes online today. 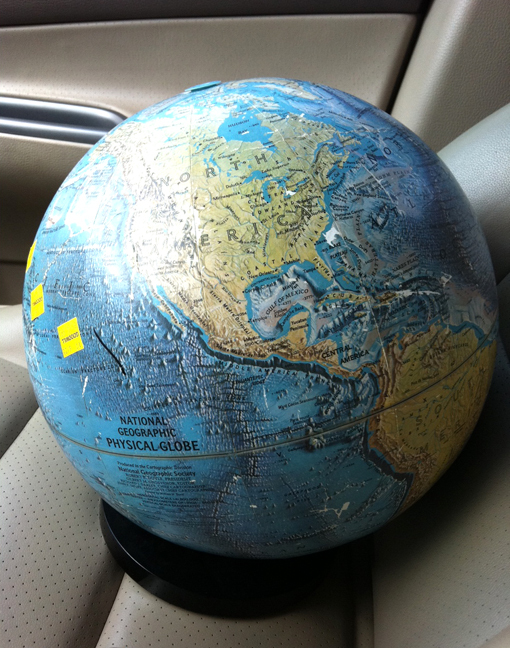 Worldglobes.com ~ a “replogle” Adventurer 12″ tabletop globe THAT GLOWS!!! 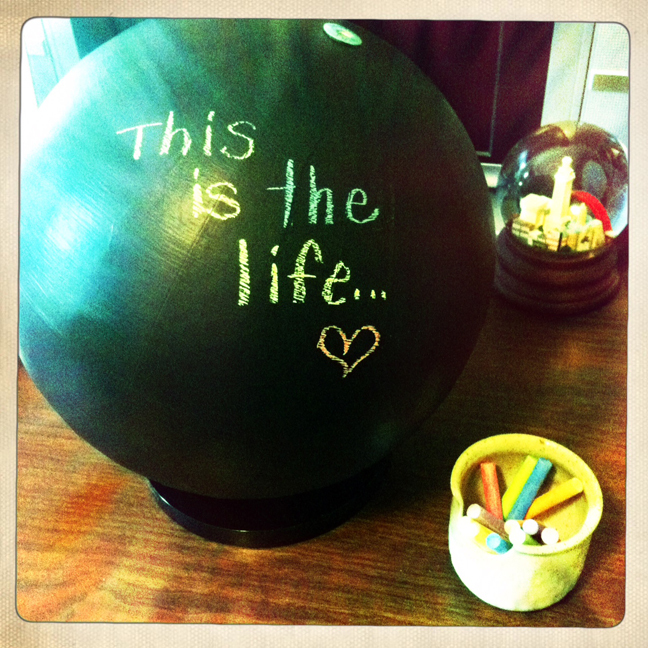 Posted on July 10, 2011 July 1, 2012 by gadorawilderPosted in Do-it-YourselfTagged Centre Georges Pompidou, chalkboard paint, Fisher Price, globe, Valspar. Previous Previous post: 1/2 Day Project: happy rainbow basket! Next Next post: Minky Boodle. Love to see Gadora back at work!